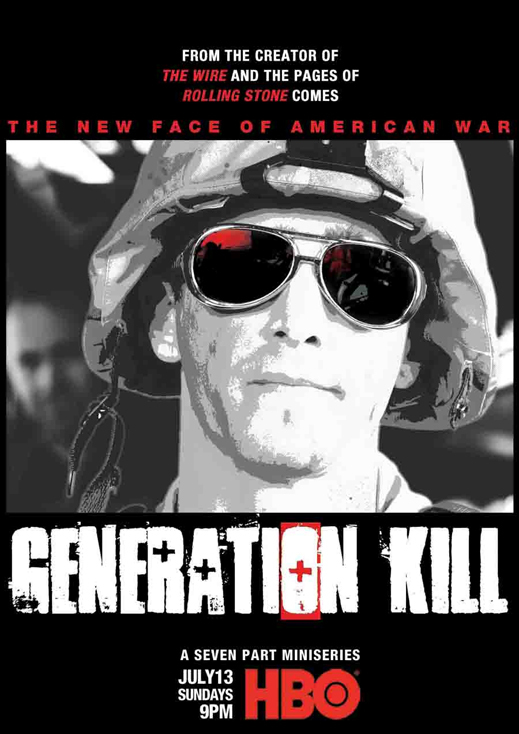 I just mowed through the seven-hour HBO mini-series, “Generation Kill,” like nobody’s business. It’s based on Evan Wright’s book of the same name. 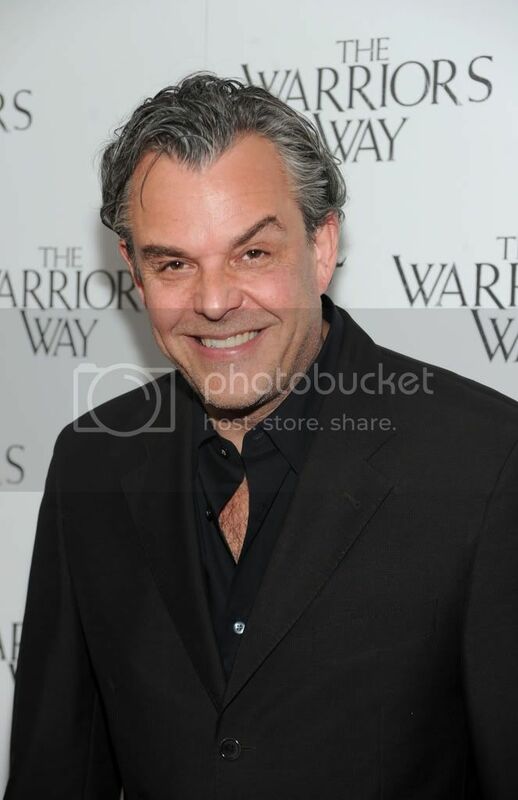 At the time, Wright was a Rolling Stone writer that was embedded with the 1st Reconnaissance Battalion‎ of the United States Marine Corps during the first days of the invasion of Iraq. The teleplay was written by “The Wire” creator David Simon, so it’s no surprise that it has the same gritty feel and sense of humor of that series. The story revolves around the Hummer in which Wright rode, which often was the point vehicle as the battalion moved deeper into Iraq, but the miniseries branches out at times to follow the events of other parts of the battalion. It relies heavily on the dynamic between Sgt. Brad “Iceman” Colbert and Cpl. Josh Ray Person. The former plays the straight man to the non-stop shtick running from Person’s mouth. This humor balances out the nail-biting intensity of the group’s military missions. Politically speaking, the miniseries doesn’t get on a soapbox, but it dives into both the positives and negatives that resulted from the invasion. There’s an overwhelming sense of naivety amongst the officers and soldiers about just what kind of a clusterf*ck they were getting themselves into. Once Saddam’s army fell, they thought their mission was over, but little did they know that they were just getting started. “Generation Kill” is not for the faint of heart, but I’d highly recommend it for anyone who enjoyed “Band of Brothers.” It’s available on DVD now. For a much more in-depth review, check out Jason Zingale’s take on Bullz-Eye.com. The Television Critics Association has officially begun the gearing-up process for its 25th annual awards, which will honor the finest work of the 2008-09 season as selected by the association’s 200-plus member critics and journalists. One of those members is yours truly, and I figured I’d see what the readers of Premium Hollywood had to say about the nominations and who they’d like to see win the various categories. I’ll have to submit my votes by June 10th, but since the winners won’t be announced until August 1st (the ceremony takes place at The Langham Huntington Hotel and Spa in Pasadena, CA, with Chelsea Handler opening the ceremony), so speak up quickly. There are a couple of things I’m on the fence about, and I’d be interested to hear your thoughts before I make my final selections.